To kick off about three months of book tours (yeah!) 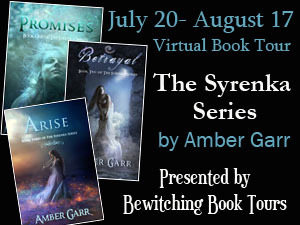 is my first round of blog tours through Bewitching Book Tours. Starting on July 20th and running through August 17th, there is a stop almost everyday for a book promo, guest blog, interview, and of course reviews!! Enter the giveaway! You can win a signed copy of all three paperbacks plus SWAG (U.S. only) or ebook copies of the entire series. Click HERE to enter and good luck!! August 1 - Guest Blog at I Just Wanna Sit Here and Read! August 17 - Series Review at WTF Are You Reading?